That’s right! 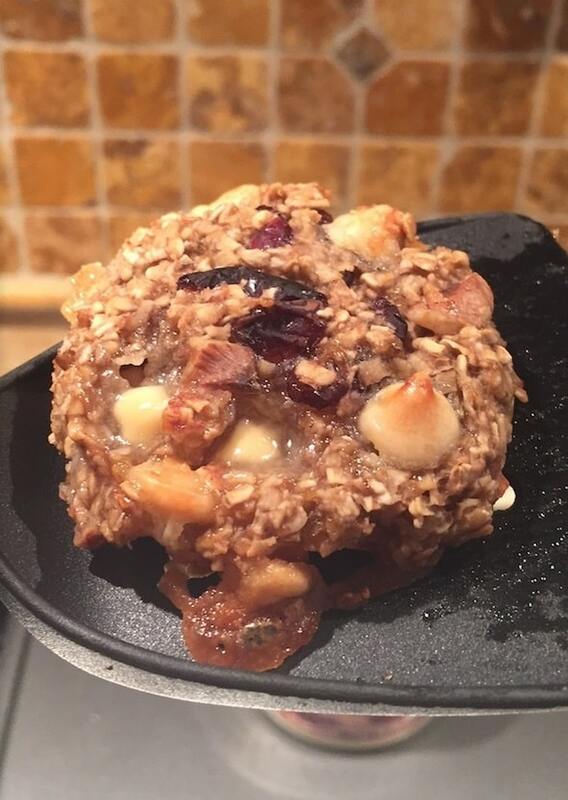 Just oats and a few ripe bananas are all that’s required for the healthiest cookies on the planet. 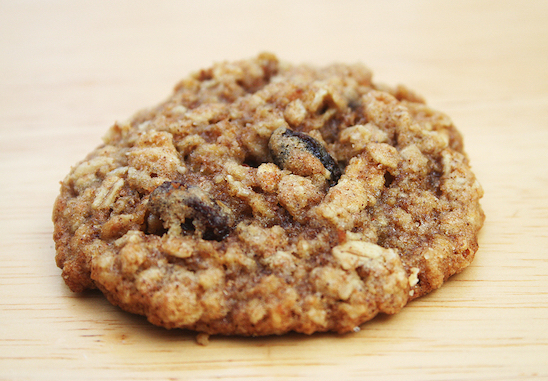 The bananas make these cookies a surprisingly sweet treat without all of the guilt, and you can customize them to your liking with the mix-ins of your choice. Mash 2 ripe bananas in a bowl, and then mix in about 1 cup of quick oats and a handful of raisins. Don’t add too many raisins or the cookies will fall apart. Place about 15 small scoops on a greased or non-stick foiled lined baking sheet (flatten afterwards to form a cookie shape as they will not change shape with baking), and then bake at 350 degrees for 10-15 minutes. Add cinnamon, salt, walnuts, chocolate chips, coconut flakes, flax seed, nutmeg, honey, vanilla or any other mix-ins of your choice. Just be sure that you don’t mix in too much or the cookies won’t stick together. Because the size of bananas can vary, you may need to add in extra oats if your batter seems too runny. The riper your bananas, the sweeter your cookies will be. These are great for breakfast or after-school snacks! Kids love them. ***UPDATE*** I made these cookies with white chocolate chips, walnuts, and dried cranberries — definitely our favorite so far! The bananas I used were also very large which made a nice crispy crust on the bottom almost like caramel. I think I like them a little more moist after all. Mmmmmm. You can see the pic here.